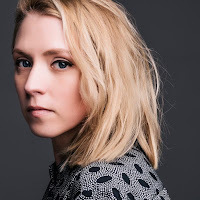 Hannah Scott today releases her new single Signs Of Life, taken from her forthcoming album Pieces Of The Night that is set for release in June. Described by Hannah as "a song about not giving up hope even in the darkest moments," it's a powerful, emotional and dramatic track. Set to keyboards, strings that kick in as the song builds, Hannah's voice draws the listener into the song as every syllable is sung with the requisite precision for the emotions in lines like "don't dismiss all of the days like this, there are still fires to fight, there is still life" to come flooding out of the speakers. It leaves the impression of a song that's too good to simply exist under the radar. Hannah Scott's official website can be found here and she is on Facebook and Twitter. She plays the following shows : Chesham The Drawing Room (14), London Sofar Sounds (15), Bishops Stortford Bish Bash (May 5), Heathrow Airport Caffe Nero (6), Hanwell Hootie (12), London Canopy Market (18), Maidstone Hunton Village Hall (19), Southampton Sofar Sounds (30), Yeovil Home Farm Festival (June 8-10), Preston Winedown (14), Bangor Blue Sky Cafe (15), London Live At Thornsett Road (16), Poole Folk On The Quay (30), Gloucester Milefest (July 6-7), Newbury Ace Space (19) and York Newbald House Concerts (November 10).